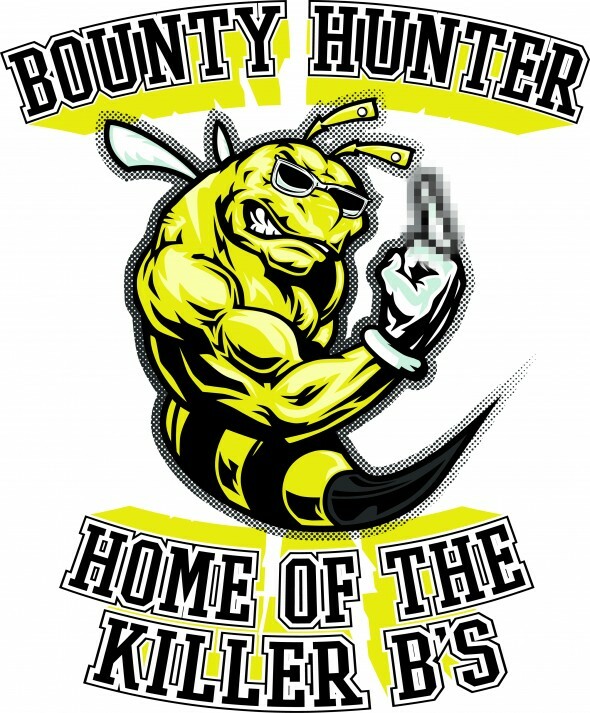 This bad boy was a merch t-shirt design for the band Bounty Hunter. A progressive metal band from Madison, WI. Obviously the band name starts with the letter “B” and also happened to be a previous piece of merch that they frequently sold at shows. 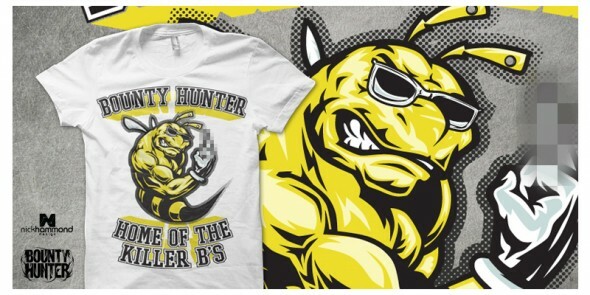 To play off of the ever popular Bounty Hunter “B” tshirt this Killer-B was created as a play on words. In an attempt to make the Bee look as incredibly a-hole-ish as possible we added some small touches such as the middle finger (NSFW), ripped muscles, some hip wayfarer shades, and some tunnels in his ears. Also commonly , and incorrectly, referred to as “gauges”. This Bee is one B.A. hipster and will be helping out the Bounty Hunter guys at a ton of upcoming shows. Pick one up if you’re ever in attendance! On a side note, we won’t be accepting any more projects or clients for the time being. The reason behind this is that we would like to put more focus on designing the Fall/Winter line of clothing. It’s been a while since we’ve had an opportunity to make good headway on it and it is something we’ve put a lot of effort into. Once it is 99% completed (a designers work is never done) we will be back on the grind!